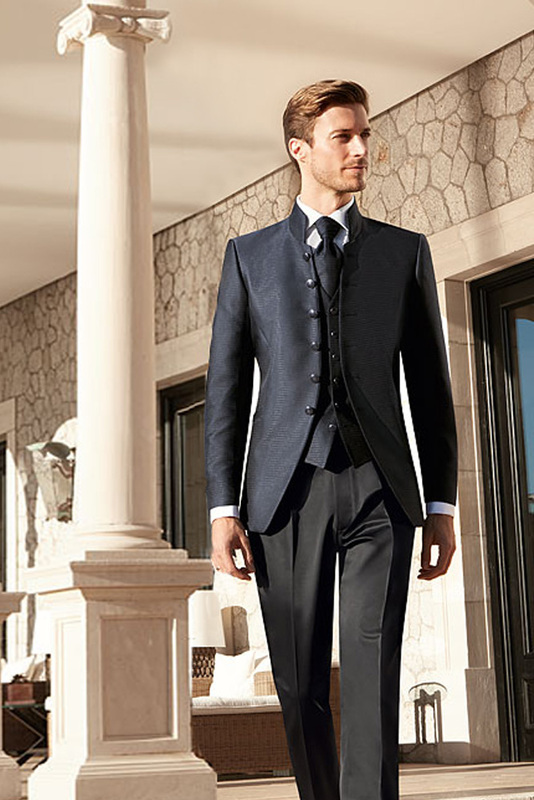 Festive 6-button jacket in the color midnight blue in a young jacquard quality with minimal design. 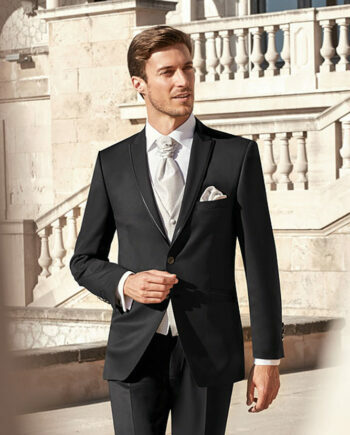 It is combined with waistcoat and neckerchief with pocketkerchief in the same fabric as well as a plain-colored trouser in black. 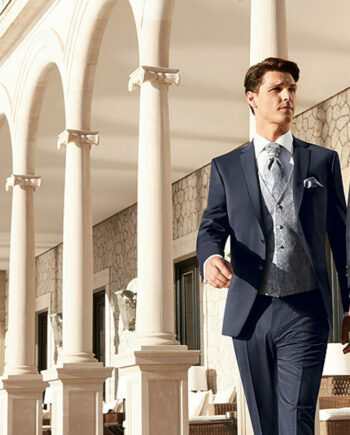 This combination is perfect for the groom who wants to stand out from the crowd. 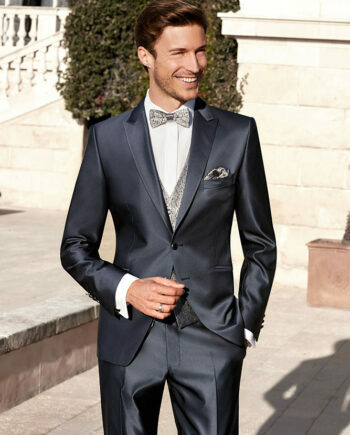 It may be combined with a white standard shirt and with black or brown lace-up leather shoes. 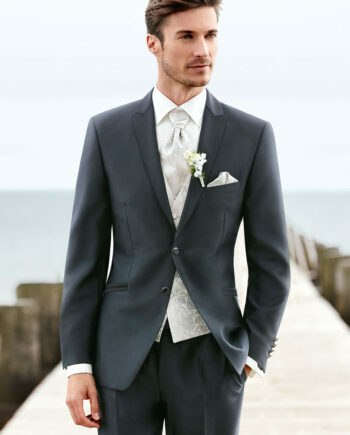 Midnight Blue Wedding suits from the After Six 2017 range: Festive 6-button jacket in the color midnight blue in a young jacquard quality with minimal design available from Tom Murphy’s Formal and Menswear, suppliers of wedding suits for men. 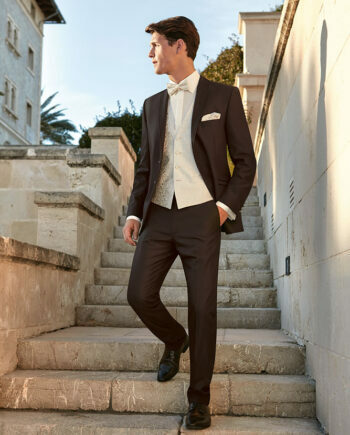 This 3 piece wedding suit is combined with waistcoat and neckerchief with pocketkerchief in the same fabric as well as a plain-colored trouser in black. 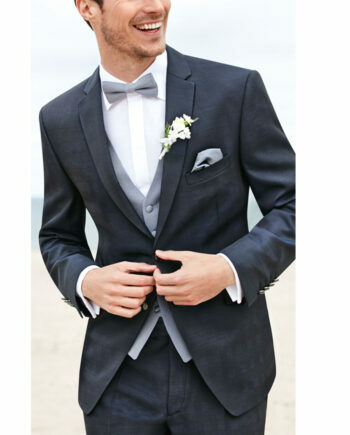 This combination is perfect for the groom who wants to stand out from the crowd. 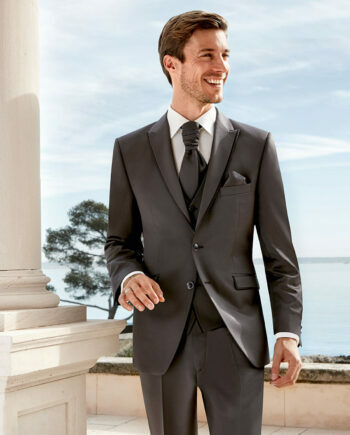 It may be combined with a white standard shirt and with black or brown lace-up leather shoes.